Fabricators of custom cabinetry, millwork and furniture for the world. Servicing the residential, commercial and historic restoration markets. 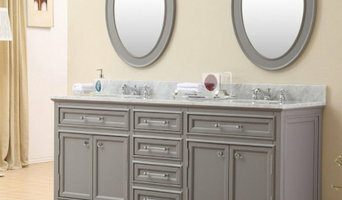 TheBathOutlet.com is an online retailer offering luxury bathroom fixtures at affordable prices. Our large selection of home and bath furnishings includes sinks, showers, faucets, vanities, accessories, and much more. TheBathOutlet.com strives to provide customers with the best shopping experience possible. Swiss Madison is committed to creating superior bath products to improve the lives of their customers. We pride ourselves on our innovative products, great customer service, and a desire to become the leader in the industry. More than well-made forever products, Swiss Madison offers modern designs mixed with individuality to configure the bathroom of your dreams. Whether it is a small lavatory or a personal home spa, Swiss Madison offers a design solution so you indulge yourself in full relaxation with our leading edge designed styles. Most importantly, Swiss Madison has a dedicated team designing and working hard in every aspect to make sure your experience is not only ideal but personable and reliable. At Swiss Madison, excellence is a way of life. Kitchens and bathrooms are the most renovated rooms in any Basking Ridge home. Storage is a top concern in these rooms, so hiring Basking Ridge, NJ professionals to create and install custom cabinets in your home can be key to expanding your spaces and controlling clutter. Use the Houzz Professionals listings to find Basking Ridge, NJ kitchen and bath accessory vendors. Don’t rule out asking a kitchen manufacturer’s design team for help, too. Skills often can be overlapped to save you time and money! Here are some related professionals and vendors to complement the work of kitchen & bath fixtures: Kitchen & Bath Designers, Kitchen & Bath Remodelers, Interior Designers & Decorators, Cabinets & Cabinetry. Find kitchen and bath fixtures and accessories, plus installation experts, on Houzz. Check out New Jersey kitchen products and installers, and bath plumbing products and installers, on Houzz. You can also look through project photos provided by Basking Ridge, NJ renovators, retailers and designers.